* Please note: Credit card and ID must be provided upon arrival. Table includes with standard mixers. Waters and Red Bull not included. Guests must bring the credit card with which the ticket was purchased as well as a corresponding valid photo ID. Tickets must be printed at home and brought the night of the event. 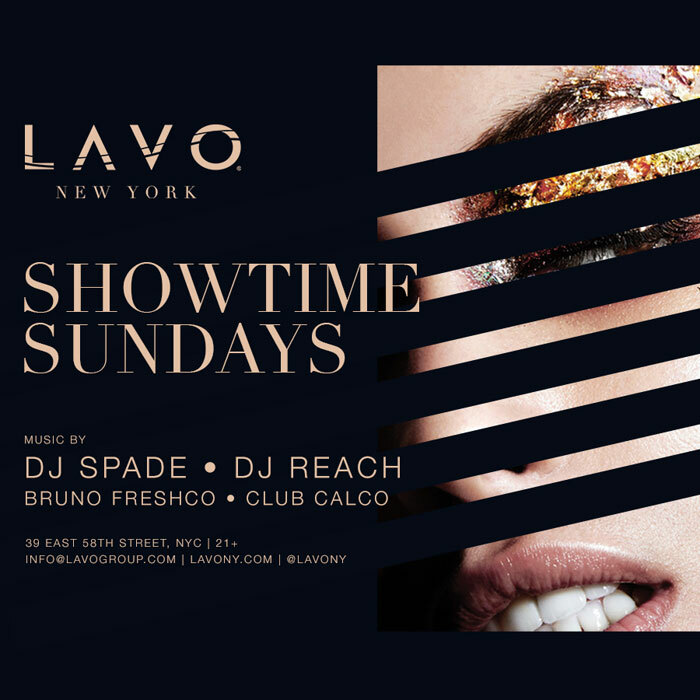 Lavo is not responsible for lost or stolen tickets. Venue reserves all rights. Collared shirt & dress shoes required for Men. Must be 21 years or older to attend. All Sales are final. No Refunds.